1 When happens during an earthquke? 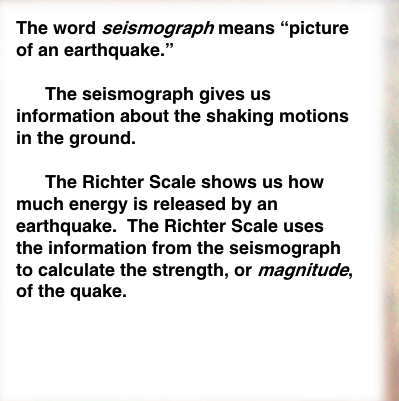 2. Who invented the Richter Scale? 3. 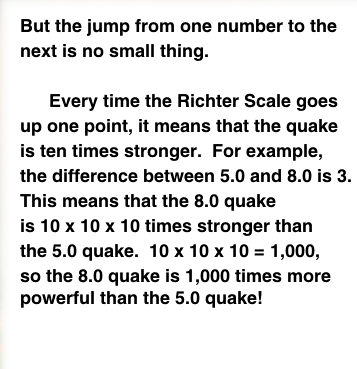 What does the Richter Scale measure? 4. 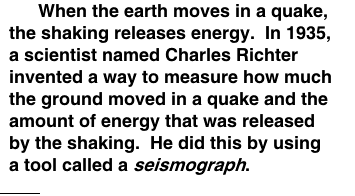 What is a seismograph? What does the word mean? 5. What is the starting point of an earthquake called it is also where the shaking is the strongest? 6. What is the lowest and highest number an earthquake can be on the Richter scale? 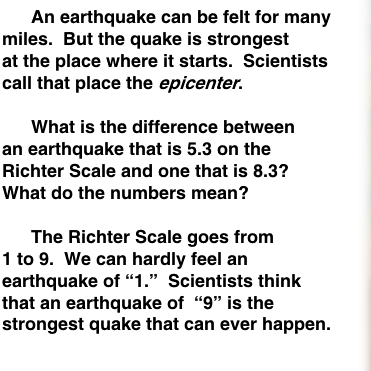 7 What is the difference between a 7 and an 8 on the Richter scale how much stronger is the 8 than the 7? A timeline with chronological times on it.